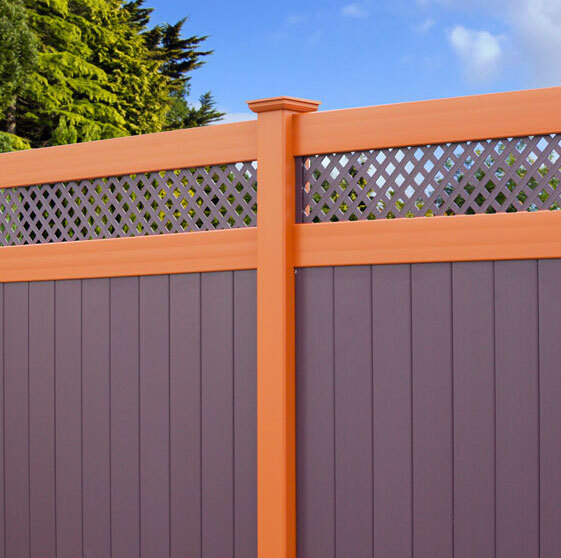 Where Do I Get Color Vinyl Fence? 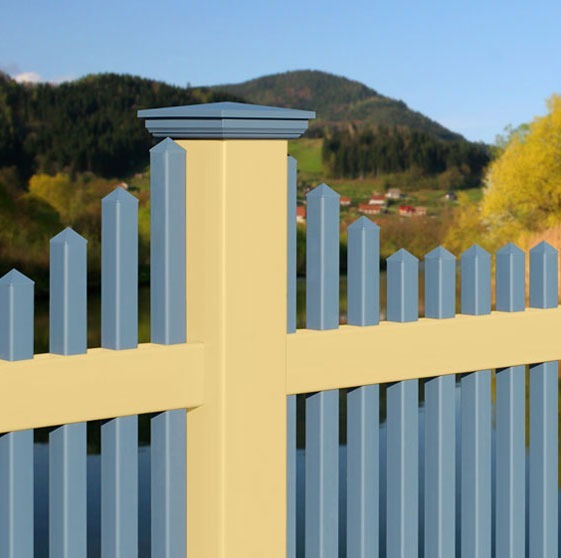 Are you looking for a color vinyl fence? 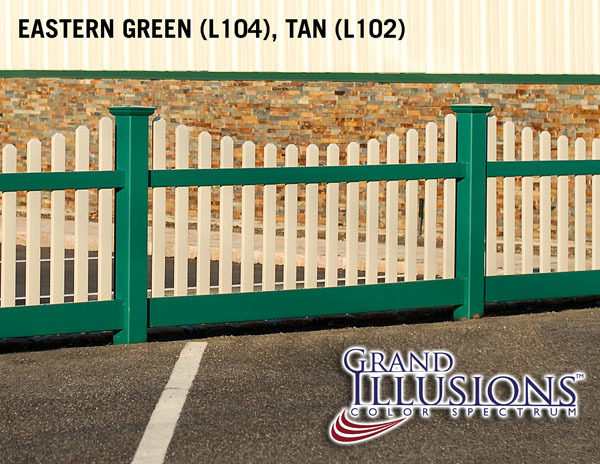 If you are, Grand Illusions Color Spectrum by Illusions Vinyl Fence is the answer to your prayers. The Designer Series (custom color matching to any swatch). 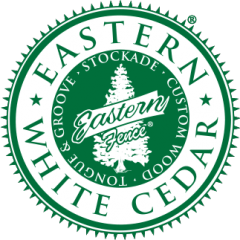 “The fence colors have been specifically chosen to match other household accents such as shutters, trim, doorways, siding, etc.,” said Peter Williams Sr. C.F.P., President, “so that color no longer stops at the house. For instance, picture a beautiful Victorian house with light blue siding, dark blue trim, and burgundy and yellow accents. 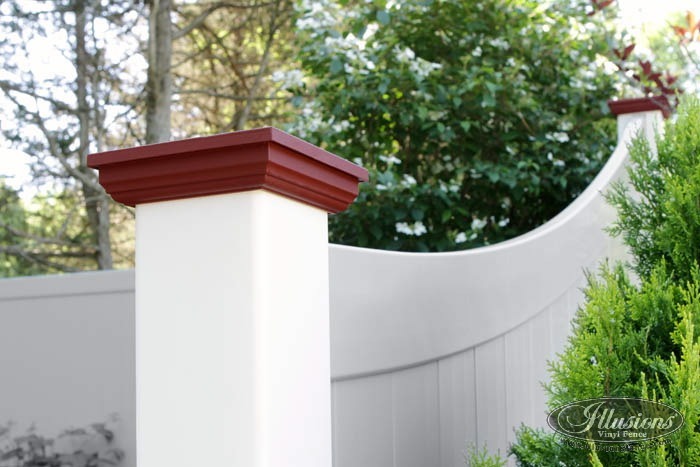 Now imagine a privacy fence with a scalloped Victorian topper that has Atlantic Blue rails matching the trim, Sky Blue T&G boards matching the siding, Burgundy pickets and Colonial Yellow Caps. 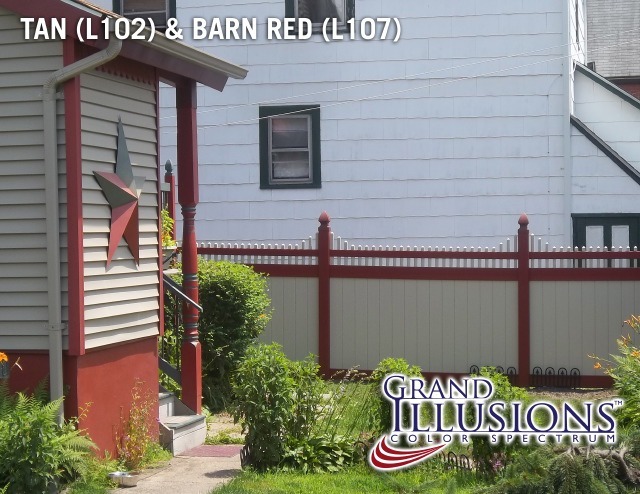 You now have a great match to the house and a thankful happy homeowner as well. 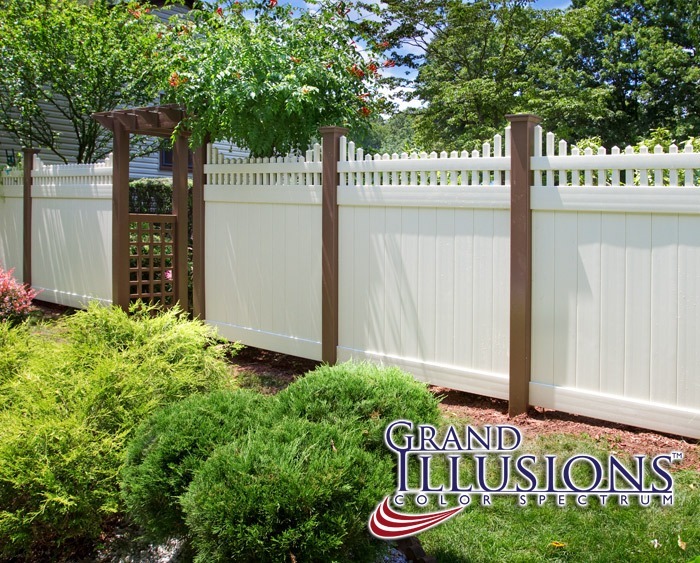 The products start with 100% Pure Virgin Vinyl Illusions Vinyl Fence products, including pre-assembled panels, and Uni-Weld gates. Then, through a patent pending six-step fusion bonding process, the color is added. All are finished off with color protection by Sky2Blue Shield that resists fading, scratching, peeling and flaking. 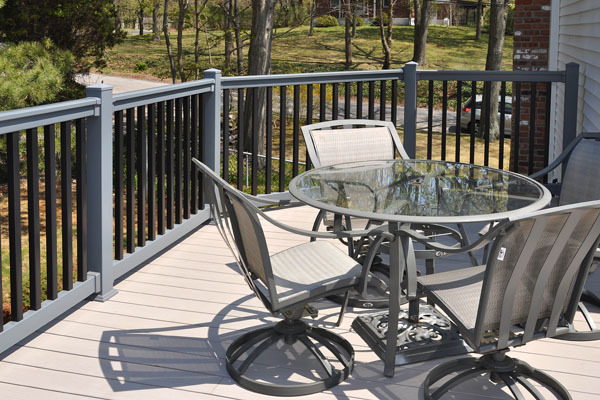 The Sky2Blue Shield provides scratch protection against normal wear and tear, he added. “Think of a car. If someone is malicious in their intent, they will damage anything. Common sense still applies,” he said. 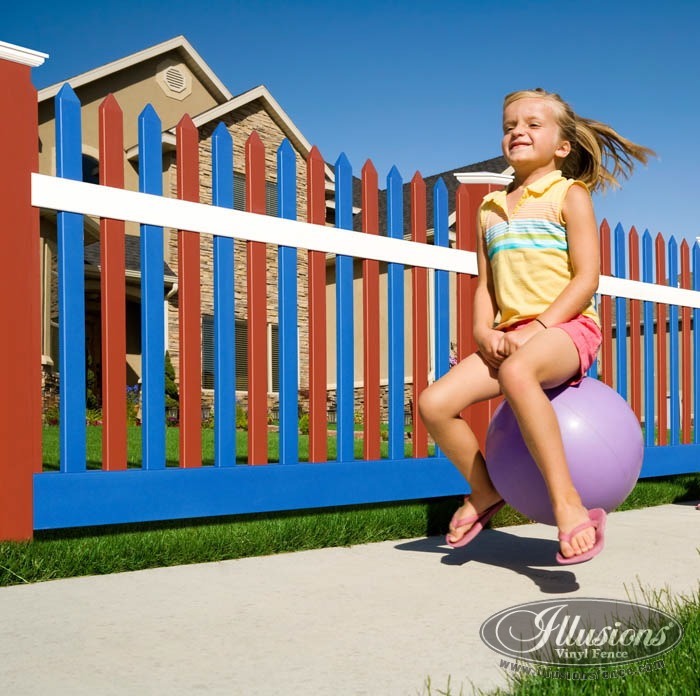 Illusions Vinyl Fence is sold through a network of quality professional fence dealers throughout the United States. 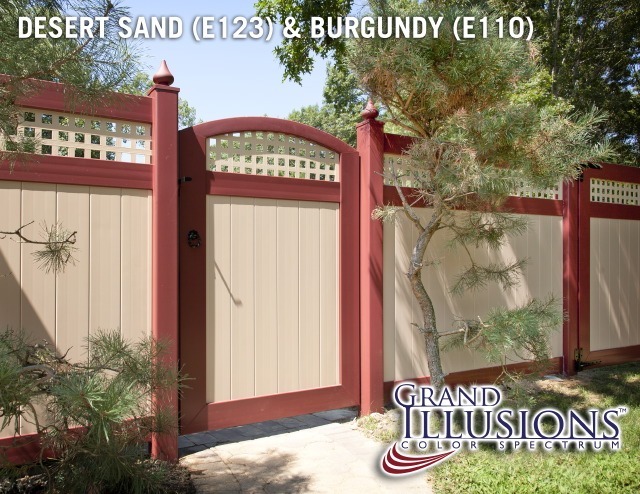 We would ask that you quite simply contact your local fence dealer and ask for “Illusions Vinyl Fence and Grand Illusions Color Spectrum” by name. 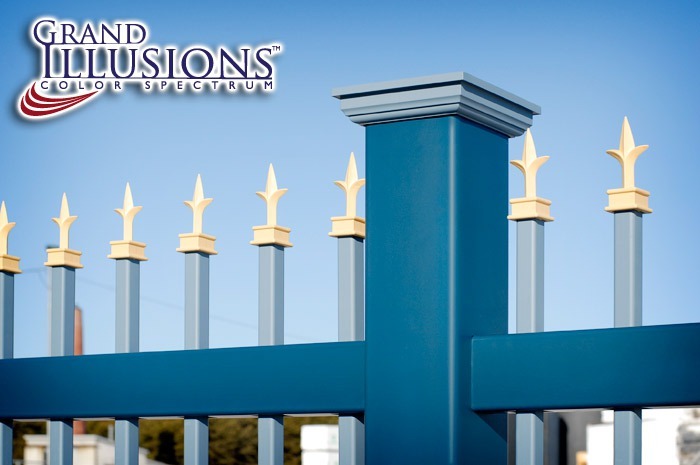 For complete details on choosing, and ordering the products, the Illusions Fence Design Center is available at www.illusionsfence.com. Check the Illusions Photo Gallery for even more pictures!